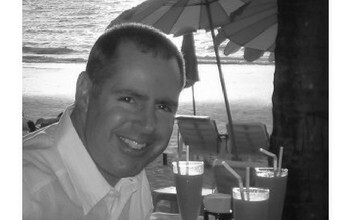 You are here: Home / Basics / When is the best time to visit Thailand? 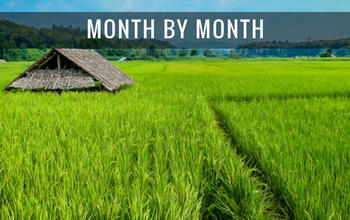 In my opinion, any month is a good time to visit, but much depends on what you want from your trip. The reality is that any time of the year will have its advantages and disadvantages. For many people the weather is a major consideration, but I think it’s all too easy to get too hung-up about visiting in the ‘dry season’ and avoiding the ‘rainy season’. There are no absolutes and no guarantees when it come to the weather in Thailand. Rain can occur at any time of the year just as days of unbroken sunshine can occur. It’s likely to be hot and humid whenever you visit, but there are seasonal and regional variations. 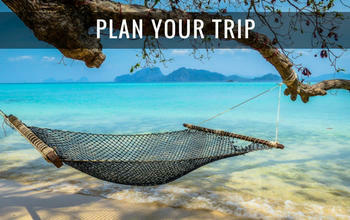 Although it might not always seem like it at first glance, Thailand is geared up to cope with the tropical conditions. Experiencing a Bangkok thunderstorm and watching how the locals carry on with their normal day-to-day business is an education in itself! The traditional advice is that the best time to visit is during the cool season from November-February. Statistically, these months tend to have the most hours of sunshine and the least likelihood of rain. Humidity is also lower at this time of year than at other times. Because of the good weather and the fact that it corresponds with winter in the West, these months form the tourist high season. 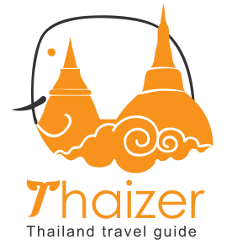 Flights to Thailand are often more expensive at this time (particularly December and the Christmas period) and rates for accommodation tend to be higher, particularly on the islands and resorts. 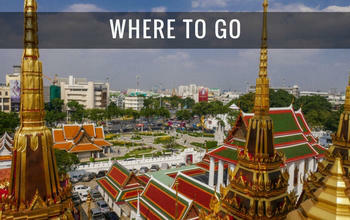 Tourist attractions like the Grand Palace and the Floating Market can also be busier in these months. March-May brings the hot season and it’s when you’re most likely to be grateful for having air-conditioning in your hotel or guest-house. Sightseeing is best scheduled for morning or late afternoon and make sure you drink plenty of water. The best way of cooling off is by joining in with the Songkran festivities in mid-April. The world famous Thai Water Festival is a fantastic experience for the young at heart. The rainy season can very broadly be classified as June-October, but there are regional variations which can see it start as early as May in some areas. It’s a shame that many people are put off by coming in these months. It’s true that when the rain falls it is often torrential, but it doesn’t rain for days on end (not usually!). In between the rain, there is plenty of sunshine and the weather is still very warm. Pack an umbrella in your bag (or buy one cheaply over here) and don’t let it spoil your enjoyment. There are definite financial advantages to travel at this time of the year. 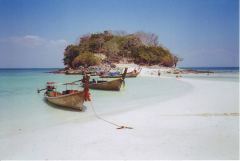 Good deals can be had on flights and package holidays to Thailand. In addition, many hotels and guest-houses in resort areas slash their accommodation rates, sometimes by as much as 50%. Rivers and waterfalls are in full flow and the countryside is at its greenest, so don’t be put off by coming in the rainy season.